Goodreads: Sometimes coming home for the holidays isn’t as easy as it seems…. Kritters Thoughts: Three sisters must return home to bury their father and when they return they are bringing with them a whole load of emotional baggage that must be dealt with in order for them to move forward. Each sister also has personal things they are dealing with on top of the long held grudges within the family. All of the sisters reacted to their rough childhood in different ways and each has been affected in their current relationships by their father's extreme abuse. I appreciated seeing how abuse can affect different children in different ways and some may shy away from forming bonds while others run towards them. It was interesting to see the grudges that they had held for so many years unravel and see the secrets that they had been holding from each other and how each of them could possibly help once they knew what the other needed. This book had just a little too much drama for me. It felt like a little too much. I wish at least one of the sisters could have just not had a tough subject to deal with. 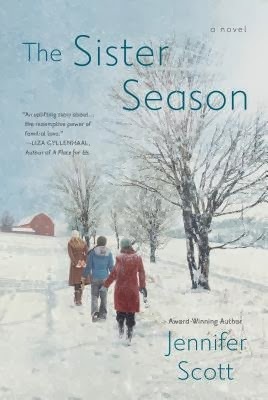 If you are a fan of the family drama, this book would be right up your alley! Disclosure of Material Connection: I received one copy of this book free of charge from Partner in Penguin. I was not required to write a positive review in exchange for receipt of the book; rather, the opinions expressed in this review are my own.